Are you trying to learn more about computer memory? There are a lot of terms that are very similar. See below for a glossary to explain it. Access time—The amount of time it takes to access data from a memory cell. Usually measured in nanoseconds (ns). Antistatic—Used to describe something that prevents electrostatic build up, such as an antistatic bag. BIOS—Basic input/output system. Provides an interface between a computer's hardware and software. The BIOS determines how your hardware is accessed. Bandwidth—The amount of data that can be moved between two pieces of hardware in a given period of time. The bandwidth of DRAM modules is measured in megabytes per second (MB/s). Binary—A computer data system based on two digits: 0 and 1. All information in a computer is stored and transferred in binary. Bit—Binary digit. The smallest piece of data (a 0 or a 1) that a computer recognizes. Learn more about the building blocks of memory. Buffer—A holding area for data shared by devices that operate at different speeds or have different priorities. A buffer allows a device to operate without the delays that other devices impose. Bus—A path in a computer used to move data. A data bus is described in terms of its width (in bits) and its speed (in megahertz). The front-side bus is located within the motherboard, and is the main highway for data. It connects the processor, chipset, DRAM, and graphics controller. The memory bus runs from the memory controller to the memory expansion slots on the motherboard. Byte—Eight bits of information. The byte is the fundamental unit of computer processing; almost all specifications and measures of computer performance are in bytes or multiples thereof, such as kilobytes (KB) and megabytes (MB). CPU Central processing unit or processor. The main chip in the computer that controls operations and data flow. Cache—A type of memory that holds recently accessed data, which is designed to speed up subsequent access to the same data. Cache is usually small and very fast memory. Chipset—A chip on a motherboard that controls the data flow between the processor and the other components of the system. Clock rate—The frequency at which a computer chip is running in one second. It determines the speed at which bits of information are processed or sent. The clock rate can be adjusted to process data at faster speeds. Controller—A chip that controls how data is stored, processed, and accessed. DDR(X)—Double data rate is a type of memory technology. The number after "DDR" is the generation of technology under which the module was produced. DDR technology is not backwards compatible, so a system can use only one generation of memory. To find out which kind of memory your system is designed for, use the Crucial® Advisor™ tool or System Scanner tool. DIMM—Dual inline memory module. DIMMs are memory modules for desktop systems. DRAM—Dynamic random access memory. The memory used in personal computers. Dual Channel—Technology that uses two identical memory controllers so that two DRAM modules can be accessed simultaneously, which decreases memory lag times between one command and the next. Dual channel technology is present on most modern systems, but in order for the technology to work, the two memory modules that are installed in a system must be identical. ECC—Error Correcting Code. A kind of DRAM that has additional code to detect and correct memory errors. Learn more about ECC memory. Electrostatic Discharge—(ESD). A burst of built up static electricity. It's important to minimize ESD because static electricity can cause damage to electronic components. Flash Memory—A type of non-volatile data storage that's used in USB flash drives, digital camera flash cards, and solid state drives. Flash memory uses different technology from computer memory (DRAM). Gigabit—An amount of memory equal to 1024 megabits (1,073,741,824 bits) of information. Abbreviated Gb. Gigabyte—An amount of memory equal to 1024 megabytes (1,073,741,824 bytes) of information. Abbreviated GB. Heat Spreaders—A cover on a DRAM module that helps dissipate heat. Hertz—One clock cycle (how fast a piece of data is written or read) per second. Hertz are used to measure transfer speeds in computer systems. JEDEC—Joint Electron Device Engineering Council. An organization that establishes industry standards for memory operation, features, and specifications. LRDIMM—Load-reduced DIMM. 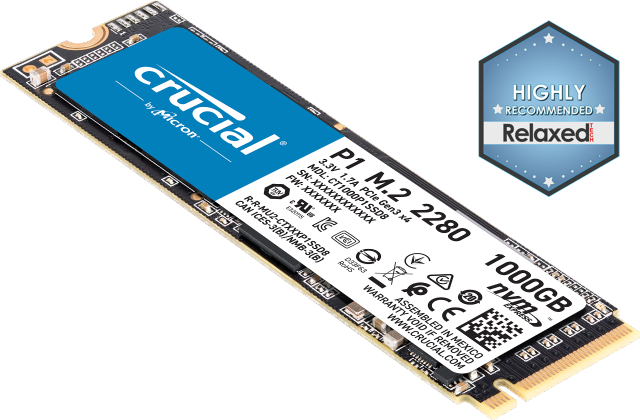 A memory technology that enables more DIMMS per channel and doubles the installed memory capacity of a module, allowing up to 35% greater memory bandwidth. Latency—The amount of time it takes for memory to respond to a command. Generally, the lower the delay (latency), the faster the device. Megahertz—MHz. A measurement of clock cycles in millions of cycles per second. Used to show memory speeds, for example 1333MHz or 1600MHz. Memory Controller—The chip that handles the data flow going to and from the memory. It can reside in the main chipset or in the CPU. Module—A module is the actual memory component. DIMMs (desktop memory modules) and SODIMMs (laptop memory modules) are the most common types of memory modules. Motherboard—The main printed circuit board in a computer that carries the system buses. 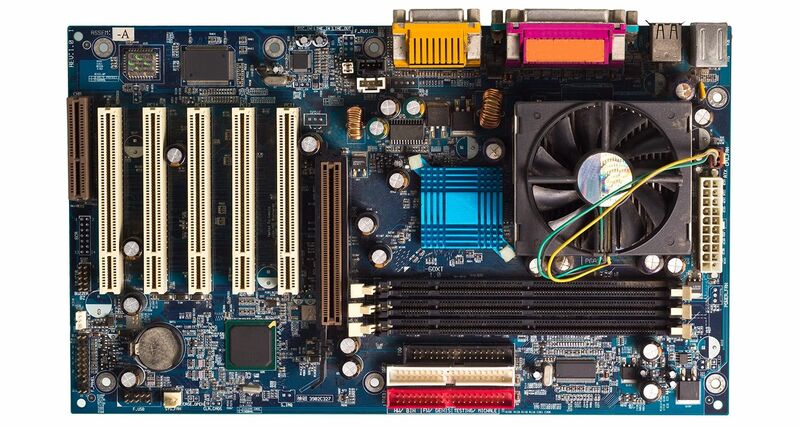 It is equipped with sockets to which all processors, memory modules, plug-in cards, daughterboards, or peripheral devices are connected. Notch—Cut outs that are located on the bottom of a memory module. Each memory type (SDRAM, DDR, DDR2, DDR3, DDR4) has a unique notch location for DIMMs and SODIMMs prevent the wrong type of memory from being installed in the system. Notches also help ensure that the memory module is installed correctly. Overclocking—Running a piece of hardware at a higher clock speed than it was specified for. Often hardware is capable of running faster than a manufacturer specifies, and can be safely overclocked. To overclock a chip, set it to either a higher bus speed, a higher multiplier, a higher voltage rate, or any combination thereof. Printed Circuit Board—(PCB) A card made for connecting electronic components. In computer memory, it is the green circuit board that the black DRAM chips sit on. 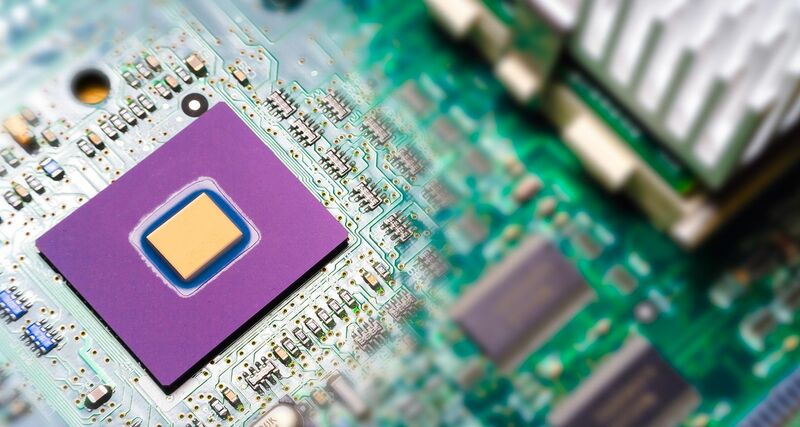 PCBs are made of non-conductive material and contain layers of circuitry that connect the various memory components to the system. Processor or CPU—The central processing unit connects all the computer components and controls the data flow. RAM—Random Access Memory. Volatile data storage for data being currently used. RAM is random access because the location of the stored information does not affect the access speed. The more RAM that's available, the more applications you can have running simultaneously without slowing your system down. Learn more about the different types of memory. Registered Memory—Buffered memory, RDIMM). A type of DRAM with a register between the memory and the memory controller. The register holds the data for one clock cycle, increasing reliability. ROM—Read Only Memory. The memory that contains the base instructions for starting up your computer. ROM is not user-replaceable. SDRAM—Synchronous dynamic random access memory. A type of DRAM that transfers data in synchronization with the memory bus. SODIMM—Small outline DIMM. 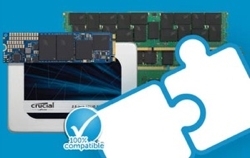 Measuring at just half the length of a standard DIMM, SODIMMs are memory modules used in laptops. Speed—DRAM is measured in MHz and bandwidth. Often both will be shown in the form of DDR3-1333 PC3-10600 where the 1333 refers to the MHz speed and the 10600 the bandwidth in MB/s. Timings—Timings refer to the latency of a memory module. Standard memory will list only the CAS Latency (CL) timing. Some modules list CL, tRCD, tRP and tRAS in the form of four numbers separated by dashes, e.g. 8-8-8-24. Taken together, these four numbers represent a module's timings (like latency, the lower the number, the better the performance). Tri-Channel—An extension of dual channel technology, tri-channel uses three identical memory modules for interleaving, allowing for fewer lags in memory performance. Unbuffered Memory—(UDIMMs) Standard memory used in PCs, laptops, and Macs. Virtual Memory—When a computer system borrows some of the storage drive memory when all standard memory is being used. ©2018 Micron Technology, Inc. All rights reserved. Information, products, and/or specifications are subject to change without notice. Neither Crucial nor Micron Technology, Inc. is responsible for omissions or errors in typography or photography. Micron, the Micron logo, Crucial, and the Crucial logo are trademarks or registered trademarks of Micron Technology, Inc. All other trademarks and service marks are the property of their respective owners.